If you want to become a more productive writer, you may want to try using speech to text software. They can speed up your writing as you can directly put your thoughts into text. In addition to its time-saving capabilities, it will save your wrist and fingers from fatigue and even from the loathsome carpal tunnel syndrome. Therefore, if you want your writing life to be better and more productive, then we’re going to tell you some tips on using speech to text software. Voice recognition software is also a great tool when you are writing blog posts using a CMS from a remote web server. 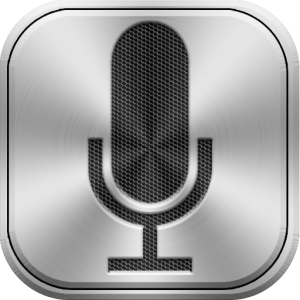 There are dozens of speech to text or voice recognition software around. There are free and paid software and paid software are sometimes subdivided into different categories like pro, premium and ultimate. What matters most is that your chosen software should be one of the best. In order to find out if they are the right choice for you, you can always see online reviews to know whether they do a good job or not. Getting a good microphone is one of the keys to utilizing your voice recognition software to its fullest. You’ll want a headset that’s comfortable for long time use with a microphone that can easily pick up your voice. Most voice recognition software comes with a microphone calibration tool to optimize your software according to your hardware’s capabilities, specification, and setup. Many software works all right out of the box and are very straightforward to use. However, learning how to properly use them can improve your performance even further. In addition to that, most voice recognition software can be trained to recognize your voice patterns so that it can understand you better in the future. This is extremely helpful especially if you have an unusual accent though it may take the software longer before it can fully understand your voice pattern. But it’s surely worth it in the end. Once you’ve fully configured and installed your software, the next best course is to take it into a full test – a real world writing scenario. Once you find a topic to write, open the software and then dictate your thoughts. You can see how accurate your voice recognition software is and see what words are often misheard. By doing it, you can further train your software to be your own. This is one of the most important part of the writing process and whether your type manually, write on paper, on a blackboard, on your phone or via voice recognition software, proofreading is a must to ensure that your writing piece is of the best quality. What are text to speech softwares?